I find this time of year so wonderful to enjoy! I guess it’s because of the focus on family and traditions, celebrating our faith in God, and all of the wonders and miracles to behold. Truly it is a magical season! It’s not just Christmas either that’s so wonderful. It’s the preparing for it, the advent of it all that gets me so excited. And I think that when we allow ourselves time to plan and prepare early enough, all the stress that the world wants us to get caught up in, can be eliminated. Then we can go slower, savor it, and not miss the specialness that this holiday season brings. 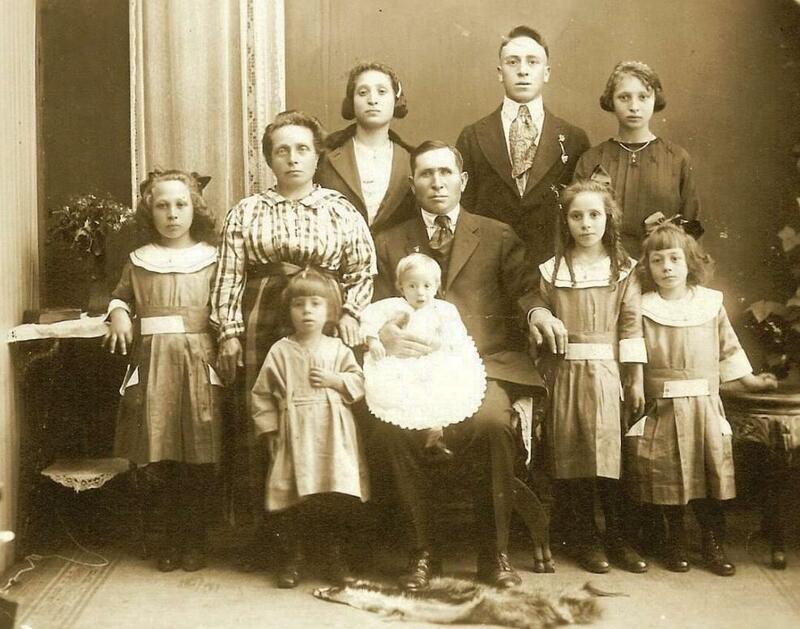 I remember as a child the gathering of our family was a thrill to me! It was just so exciting to play and visit with my cousins while all of the adults were cooking, singing, and then, we all ate! And the food, oh my the food, yes my friend, the food was always a feast to behold. And no one was rich in my family (that’s for sure) but it was always tradition that when the family gathered, we broke bread literally and figuratively, and we ate, and ate, and ate! 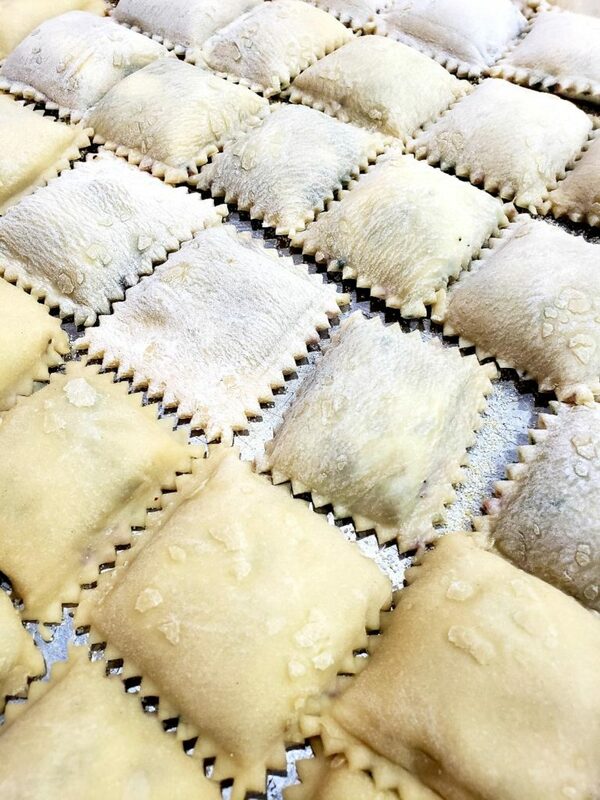 One of my favorite traditions that is still going on today is the making of the Homemade Raviolis for our Christmas Eve Dinner. My father’s mother, Marie or Grandma as we all call her, still leads us in this tradition. She of course got the recipe from her mother Lena and she and all of her siblings got the recipe from Nanna, their mother Mary, who was born in Trabilla Sicily. 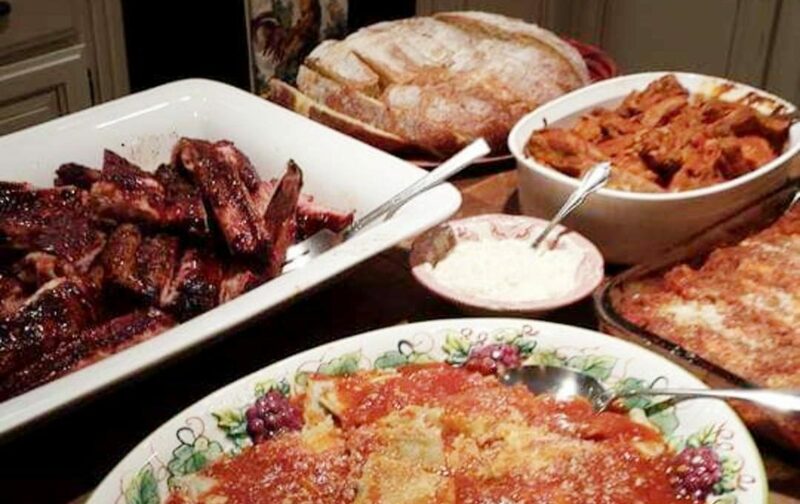 Many Italian Americans make Raviolis this time of year but traditionally a typical Christmas Eve Dinner for Italians from the southern region might include fish because of the tradition of The Feast of the Seven Fishes. 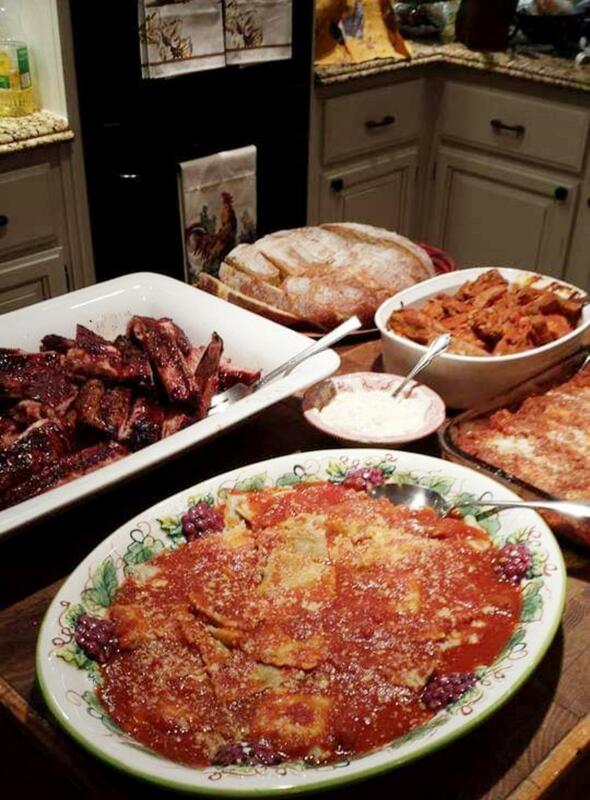 We usually had Cioppino (a fish stew which originated in San Francisco), Calamari (fried squid), and raviolis. I have heard that our family’s recipe has changed a bit over the years through all of the sibling’s families. Mostly I think because people like to put their own spin on it, change it up a bit to make it more of what they enjoy. And isn’t that true of all of us? A little tweak here or there, makes it just perfect to the cook’s own taste. For instance, this original recipe had spinach in it and my Great Grandma Lena changed that one year because she had an over abundance of swiss chard growing in her garden. So she used that and thus, the tradition was changed from our line of the family and everyone on our side still uses swiss chard. Funny, huh? Well one year, my Great Grandma Lena was not well, and her doctor told her to not strain herself. So the family had said she could not make raviolis because it would be too hard on her. 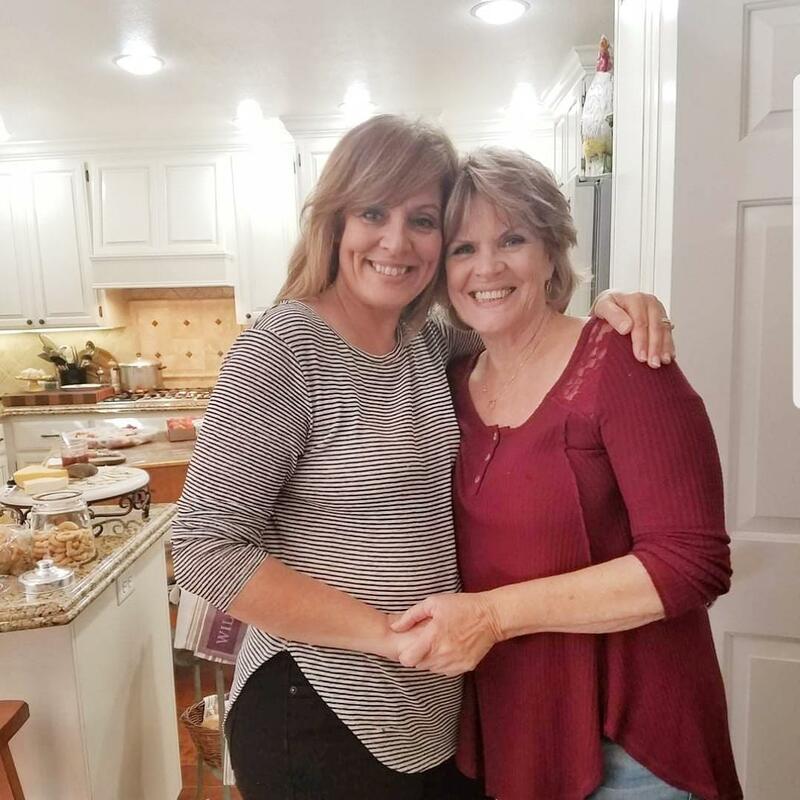 She decided to be a little sneaky and called my sweet mama up to help her make a batch. My mother was unaware of the boycott on raviolis that year and willingly offered to help. But here was the fun part. No one had ever written the recipe down before. 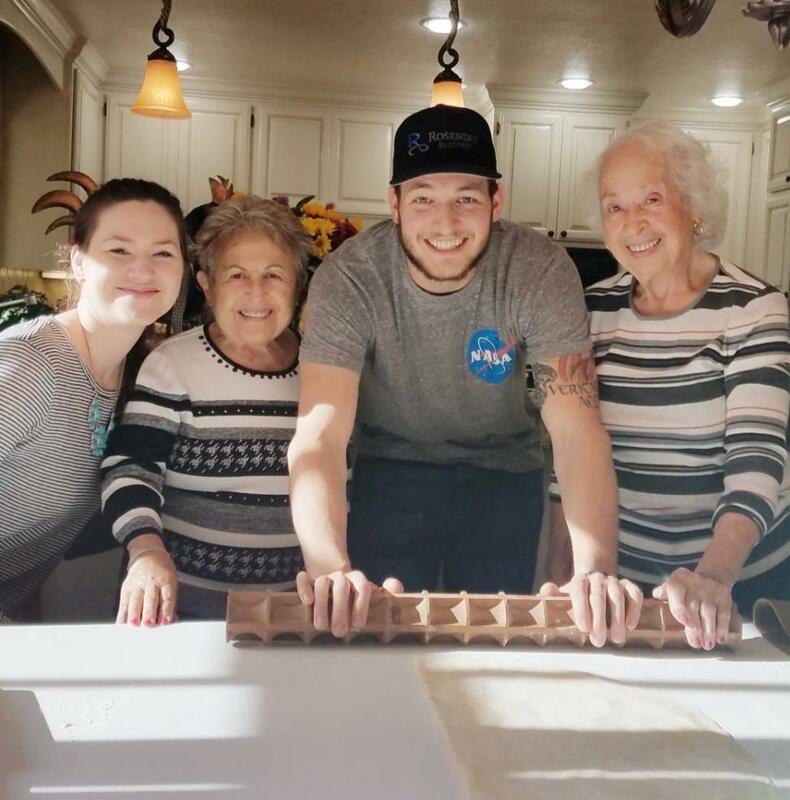 It was just handed down to the women in the family and they learned it and knew it by heart and truly, they just always helped while Grandma Lena directed. But my mother was so wise in writing it all down and measuring her hand fulls here and there and we are all so thankful that we have this recipe today because of my mama. Now I am lovingly sharing it with you all. Because I feel (and my mother and grandma does too) that recipes are meant to be shared just like a meal is. 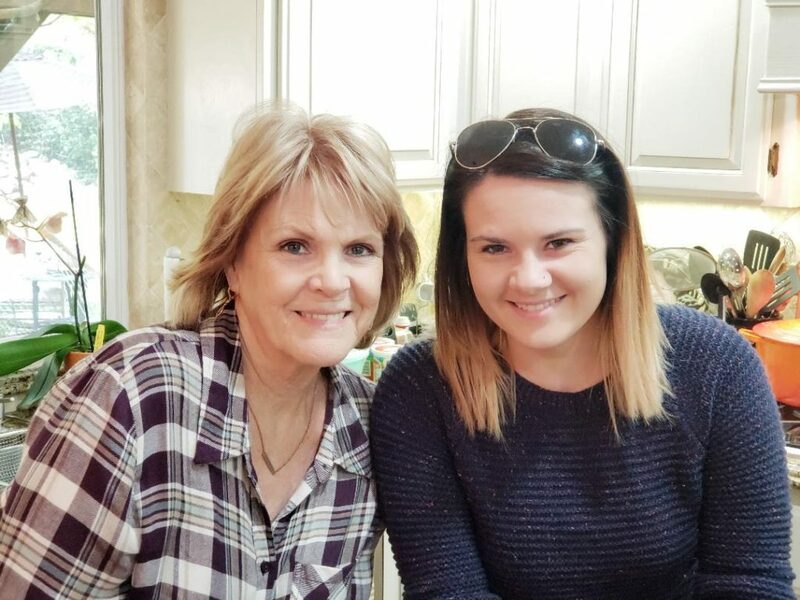 My family has always felt everyone is welcome at their table and even though we can’t all sit together, if my grandma’s recipe is shared, we kinda all are welcome and sitting at her table together. 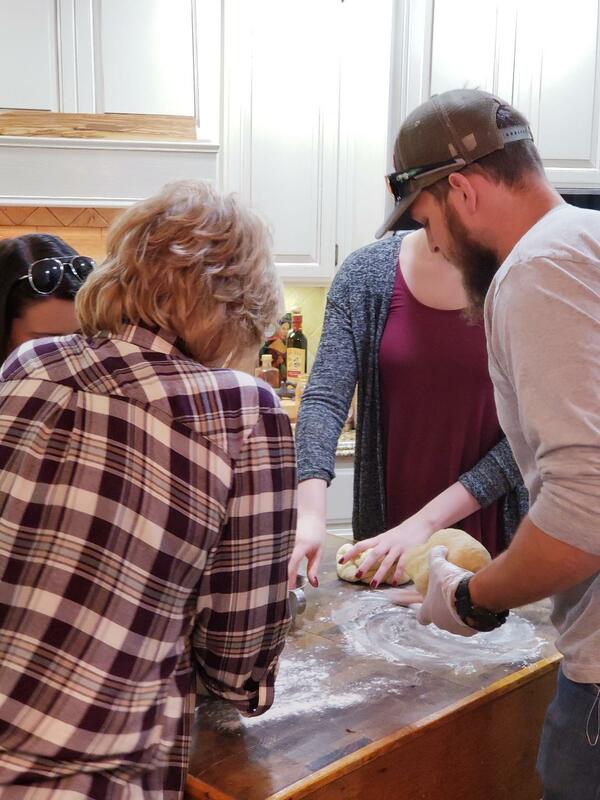 Now, every Veteran’s Day weekend because it’s my mother’s birthday and she loves to have family gathering around cooking together, we make this traditional dumpling and pass on the tradition to my sons and their wives. We freeze them for Christmas Eve Dinner, and everyone takes some home with them also. We first make the filling which includes ground beef, pork, and veal. Now since my sons and their wives have joined in, we have changed the veal portion to Italian sausage. After cooked, the meat gets ground up into the food processor until fine but not mush. There are four bunches of swiss chard in the recipe with the stems removed, steamed, all excess liquid squeezed and drained out, then chopped fine and added to the meat mixture along with finely chopped onion, garlic, parsley that has been sautéed in a pan with olive oil until tender then added to meat mixture too. Next, a whole loaf of french bread is soaked in a bowl of water and broken up into pieces, then drained in colander while squeezing out excess water. The bread is also added to meat mixture along with Romano cheese, pepper, and thyme. The next thing to add is four beaten eggs but before you can add that, the recipe says you must taste first and adjust seasonings because once you add the eggs, you cannot taste anymore. 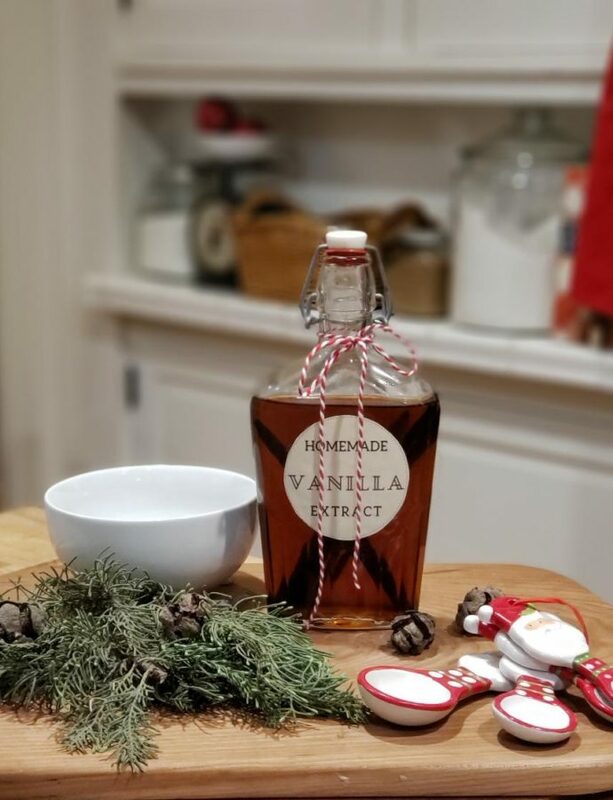 The other sweet thing about the recipe is that Great Grandma Lena instructed my mother after each step that when you mix, it is always with your hands. Then the filling goes in the fridge while we make the dough which is so simple. It’s a 5 pound bag of all purpose flour, some salt, oil and water. We mix and form the dough into four balls and then we knead. Oh we knead. 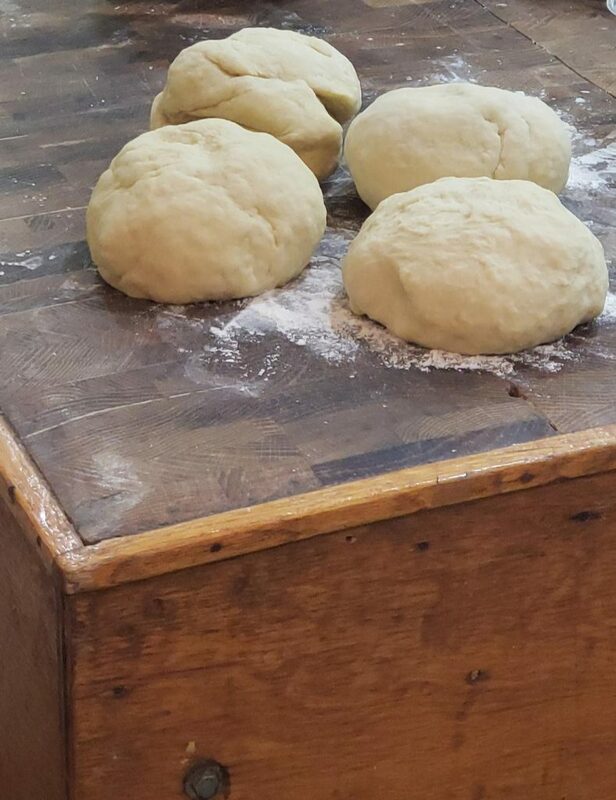 Yes, we knead that dough until the grandmas say it is just right. This is when the young and strong family members have been brought in to learn this art and help us old folks out. As you poke a finger into this gorgeous ball of dough, you watch to see if the indention bounces right back at ya. If so, then you know it’s done. 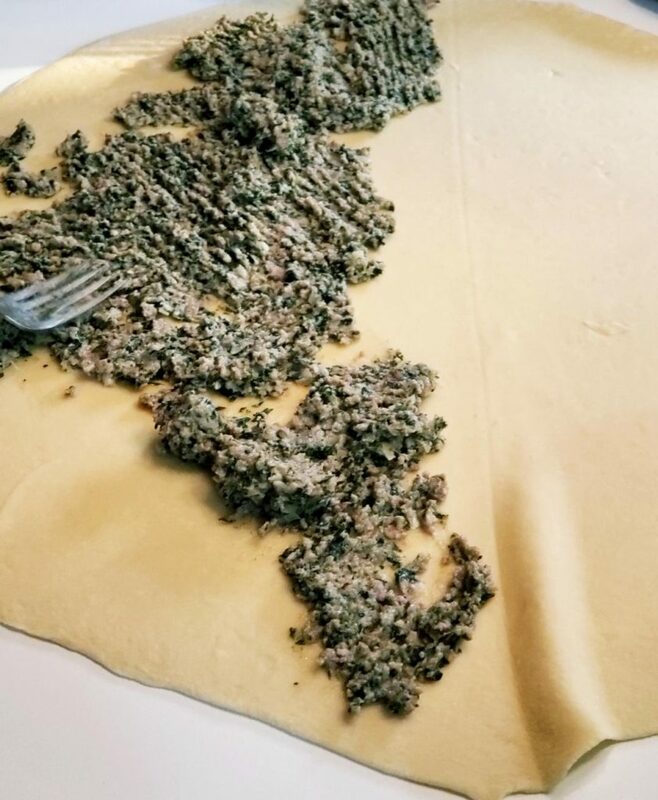 Each ball of dough is set on a tea towel and covered to rest while we gather the rolling pins and get that meat mixture out. We roll each ball of dough out one at a time on a large surface into a great big circle about 2 feet in diameter. Now this is always kind of a fun part to teach the kids. Grandma Lena would always use a closet pole as her rolling pin because she needed something that large to roll out the dough big enough. She also had this flipping technique too that I’m sorry to say, I have never quite acquired this skill yet. My grandma and mother are pretty good at it, and my sons are better than I am. We scoop the meat mixture out on one half of the circle and we spread it around with forks so it’s a pretty thin layer. Next, the other half gets folded over and stretched a bit to make sure it covers it all. 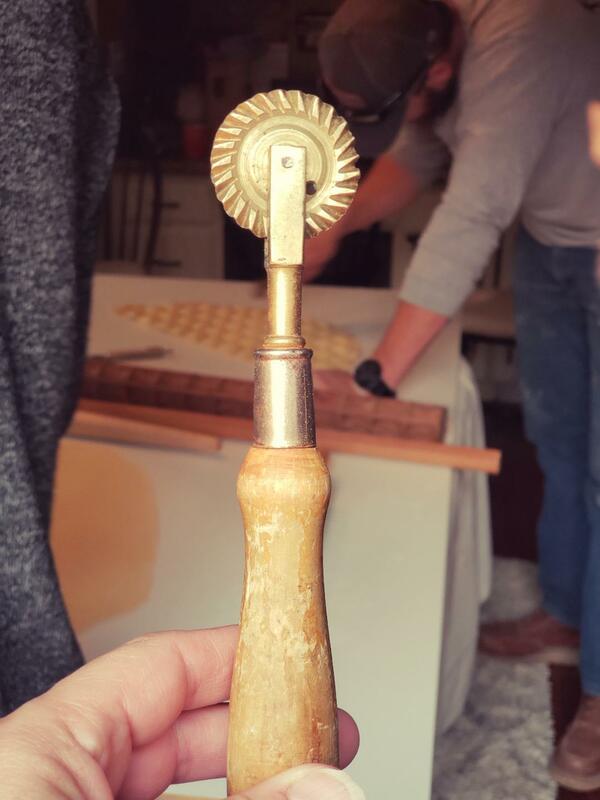 Then you take the Ravioli Rolling Pin and press away. This will form the raviolis and seal them. Then we take a Ravioli Wheel that cuts them all out with a jig-jaggedy pattern. Scooping up and setting them onto a cookie sheet for a flash freeze doesn’t take long at all. Then once frozen, about an hour, we bag them up in two dozen quantities and store in a gallon size, plastic re-sealable bag. Aw, but what about tonight, dinner tonight I say! We don’t want to freeze them all, nope, boil a pot of water and drop a ravioli in quickly one at a time and give it a stir. Then boil until they float to the top. I still like to take one out to sample to make sure I like the doneness of them. Gently pour into a colander, carefully so that they don’t fall apart. Or, scoop them out of the pot with a large slotted spoon and lay on a platter. Pour your favorite sauce over it and top with Romano cheese! Yum! 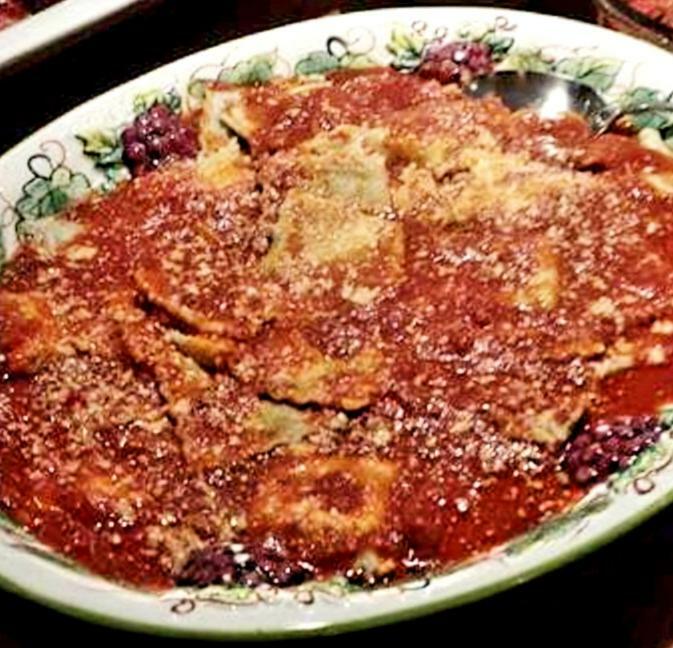 I hope you might try our family’s ravioli recipe soon and enjoy! 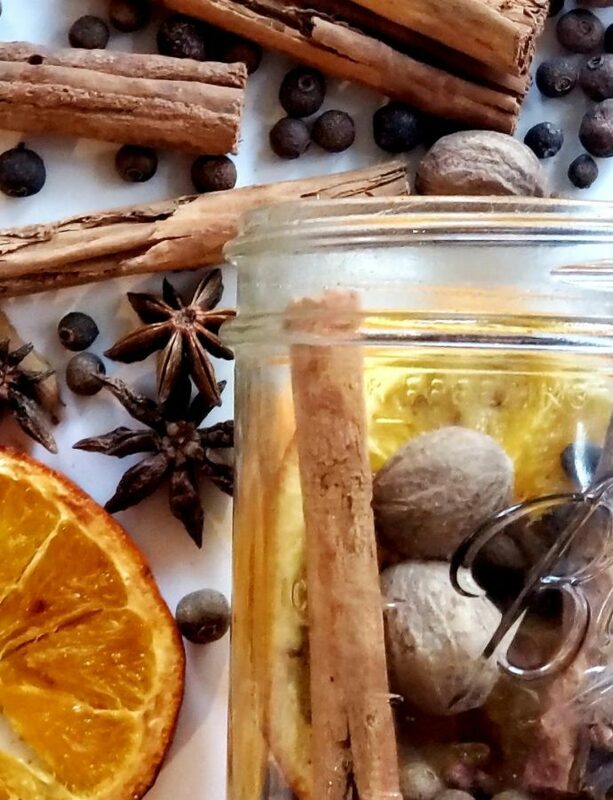 But I’m so curious, what family traditional recipes do you enjoy during the holiday seasons? For fun, let me know in the comments below. Make filling first by browning meat in small batches, draining fat and putting in food processor until fine but not mush then put in large bowl. Steam Swiss Chard leaves without stems until soft, drain and squeeze out extra moisture, finely chop then mix into to meat with your hands. Saute onions, garlic, and Parsley in a pan with 2 tablespoons olive oil then mix into meat with hands again. Stir in with hands, Romano cheese. Soak French bread in water while breaking it apart with hands until mushy, then pour into colander, drain and squeeze any excess water out, then mix into meat with hands along with Thyme and black pepper. Taste to see if seasoning needs to be adjusted. Add beaten eggs, mixing again with hands then cover and refrigerate. Mix flour and salt together in large bowl. Combine eggs and oil in a separate bowl. Make a well (a hole in center of flour) pour oil and eggs in. Lay on floured surface and cut into 4 different sections. 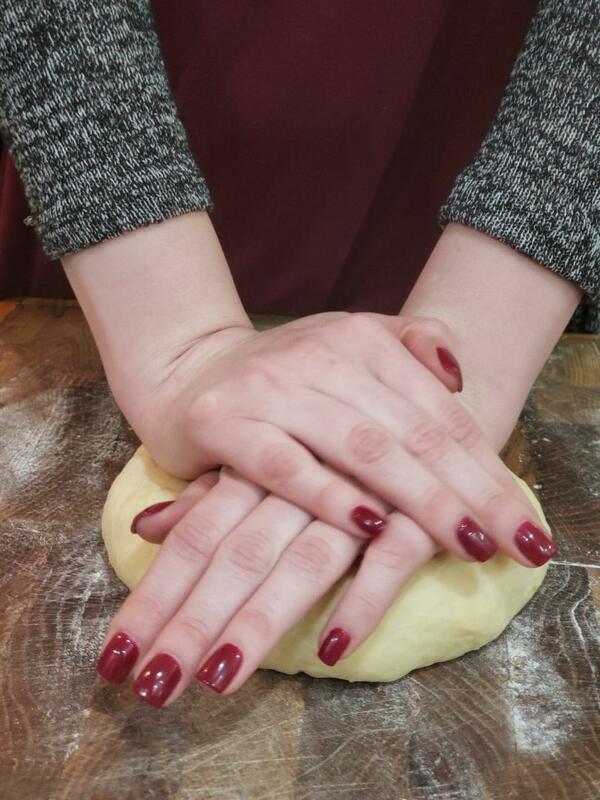 Knead each dough ball for about 10 minutes until when you poke your finger in the dough, the indention bounces back. Cover with tea towels and let dough rest for 15 minutes. Roll dough out into a large thin circle approximately two feet in diameter on a lightly floured surface. 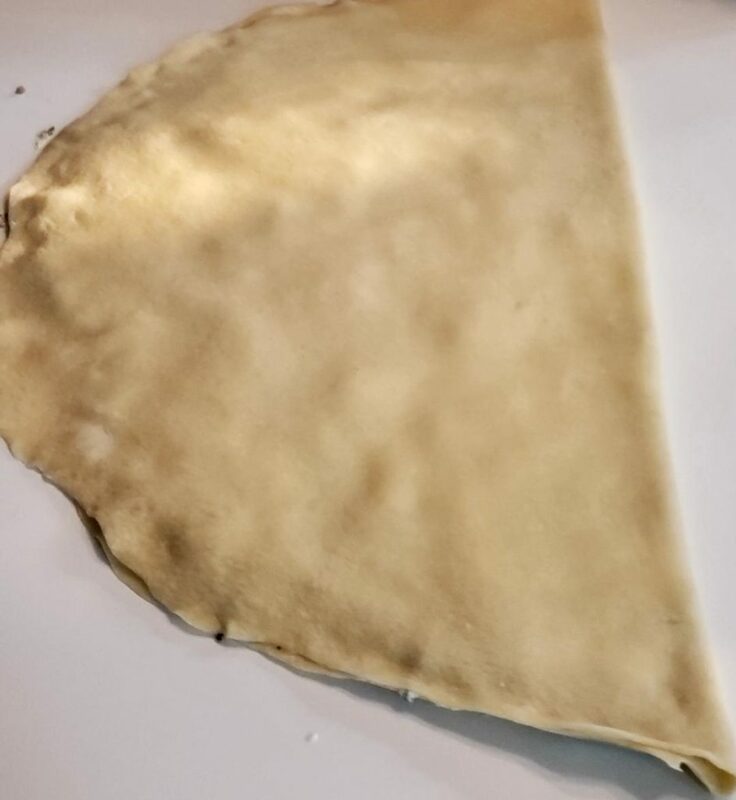 Fold dough in half to form a crease in the center, fold back over, then use back side of fork to spread meat mixture on half of dough while leaving a 1/2 inch of un-spread dough around edges. Fold other half of dough over meat side and stretch edges to fit across evenly. 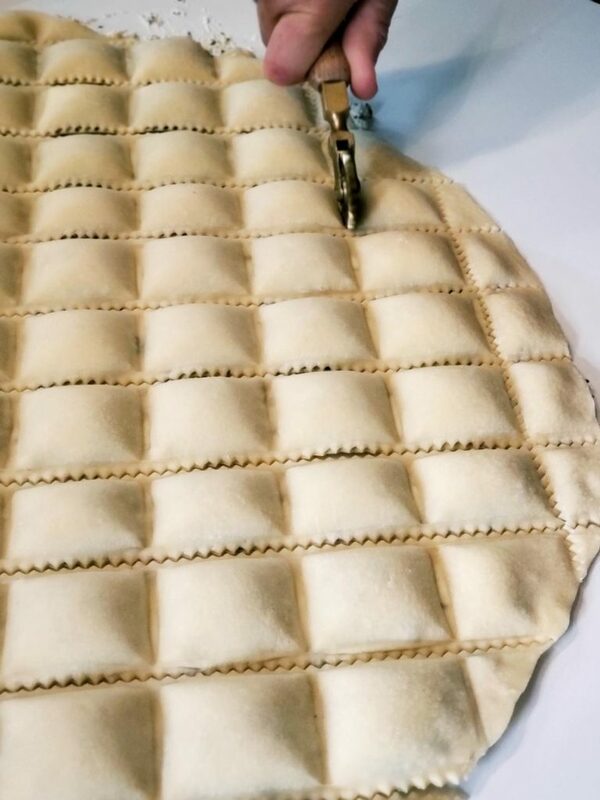 Use Ravioli Rollin Pin and roll over meat filled dough, pressing down firmly to make imprints and to seal. Take Ravioli Cutter to roll over meat-filled dough to cut along square indentations. Gently remove raviolis from surface with a floured spatula and lay onto corn meal sprinkled prepared cookie sheets to freeze for approximately one hour before storing into plastic bags. Bring large pot of water to rolling boil. 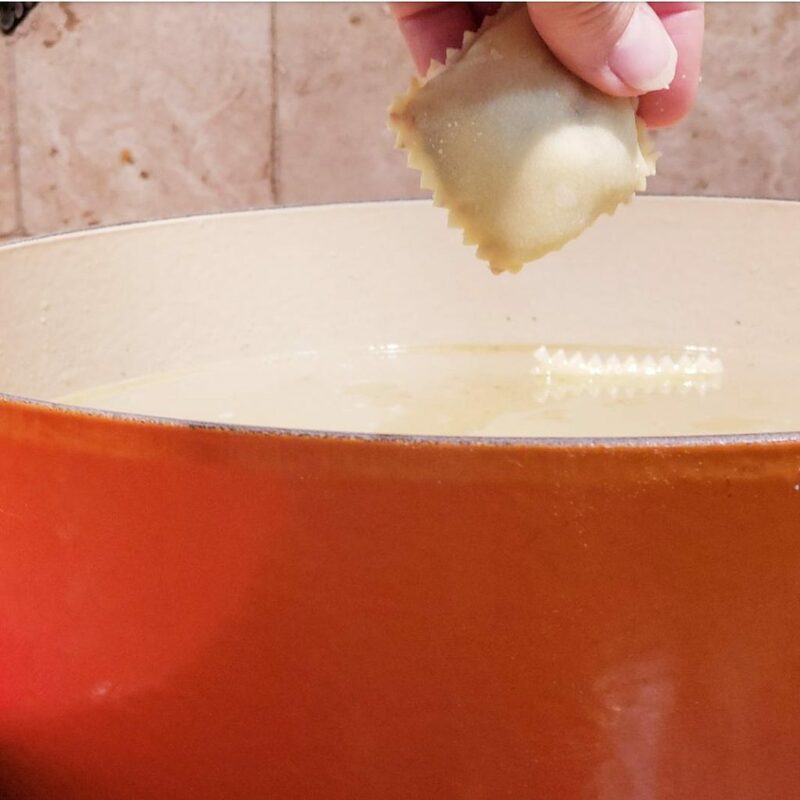 Add raviolis to pot being careful to not over crowd. Boil uncovered until raviolis begin to float to surface. Scoop the floating raviolis out of the water with a slotted spoon and place in a colander. Serve raviolis on a platter with your choice of sauce and enjoy. 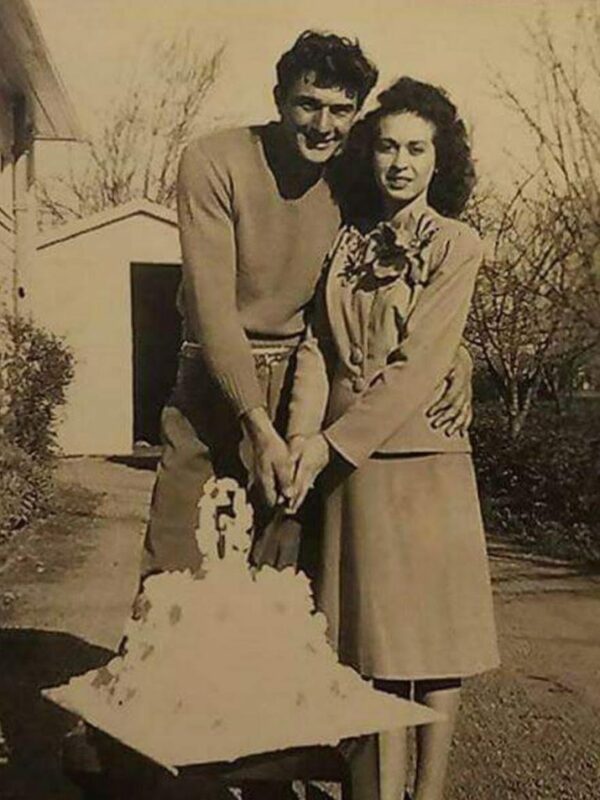 I love the pics of your grandparents on their wedding day and now, so sweet! Old pictures are so precious, I had tons of them and took the time to put them into albums with explanations of who they were about 10 years ago while my older relatives were still living. So glad now that I did that. What a treasure! 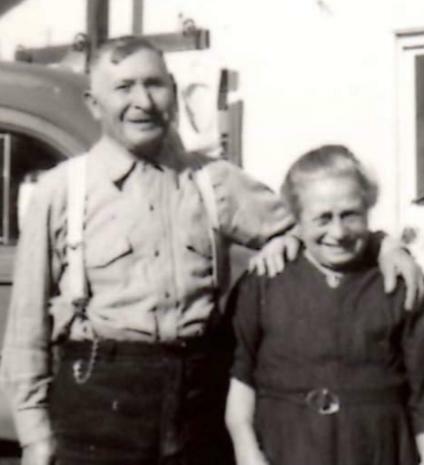 You’re even luckier that your grandma and grandpa are still here in person! I know you do, but cherish every day with them. Such a labor of love! 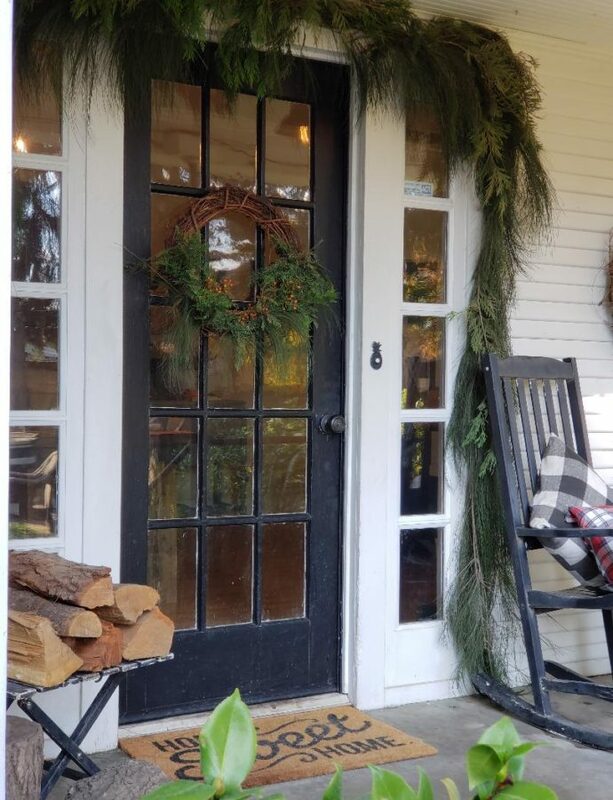 I love the tradition of this and the photos that you’ve shared of your family. 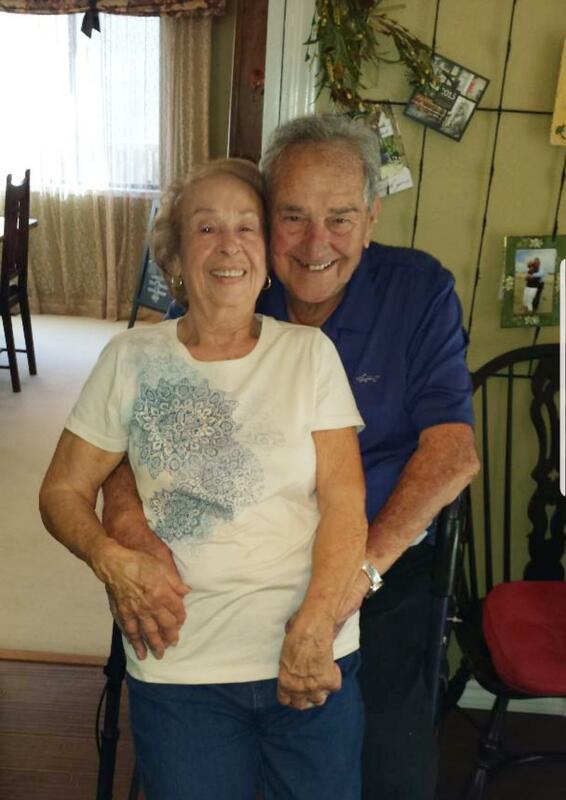 What a great way to celebrate togetherness over a wonderful meal 🧡. These look absolutely amazing and I love all the family stories you have! Can I be part of your family??? Loved the back story. So great that the recipe was written down that day. A lovely tradition for your family. I just love reading about your family. You are very blessed. I am going to save this recipe to try it! Thanks for sharing the great day you had! Thank you Terrie! 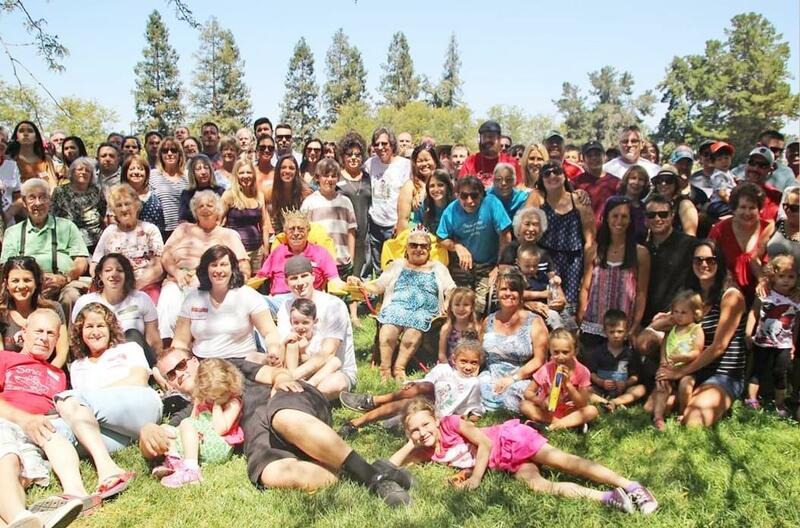 I just love family gatherings! I hope you like it! This is all just so wonderful! I don’t have extended family around and this just warms my heart to see such a big, close knit, family!! What an awesome gift!! Thank you Marci, so sweet of you. You’re right though, it really is an awesome gift! Thank you friend! 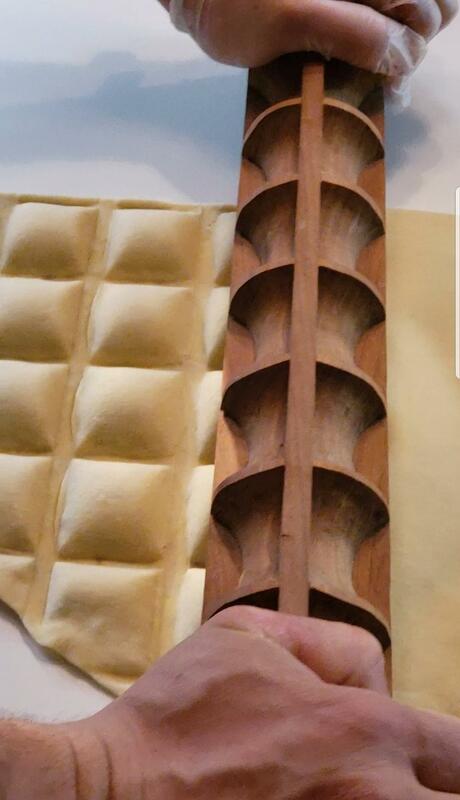 It was fun & interesting to see the ravioli tools. Such a beautiful family tradition. It was sweet to see your daughters-in-law participating now. Thank you, it was fun having them there learning and carrying on this tradition!